The sideways cross link is an essential jewelry component for making Christian religious jewelry, especially the iconic gold filled sideways cross necklace. 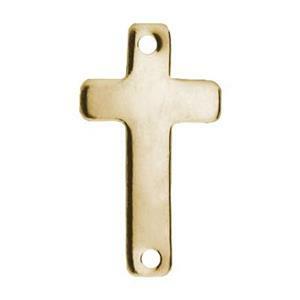 This broad lightweight gold filled cross is perfect for bracelet making or creating stations on long chain necklaces. Shop our wholesale gold filled jewelry chains for design ideas.